The GIF version of the Postcode Map is a High Resolution Image, suitable for viewing on screen and digital devices or for use within GIS Systems. 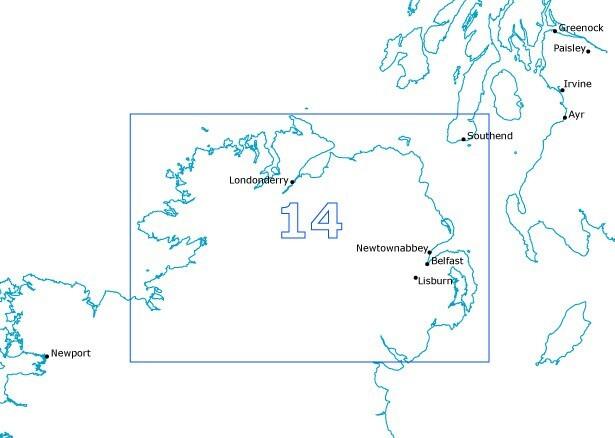 This Northern Ireland Sector GIF shows Postcode Sector boundaries (BT1 1, BT1 2 etc) oon a clear colour background and is perfect for determining Postcode boundaries for sales, planning mailshots or as a regional reference guide. This GIF covers the entire Northern Ireland area. Publishing Rights: Not available for this product due to it containing Third Party copyright material.